If you are looking for the best hotels near light house beach then Gods Own Country Ayurvedic resorts is best for you. 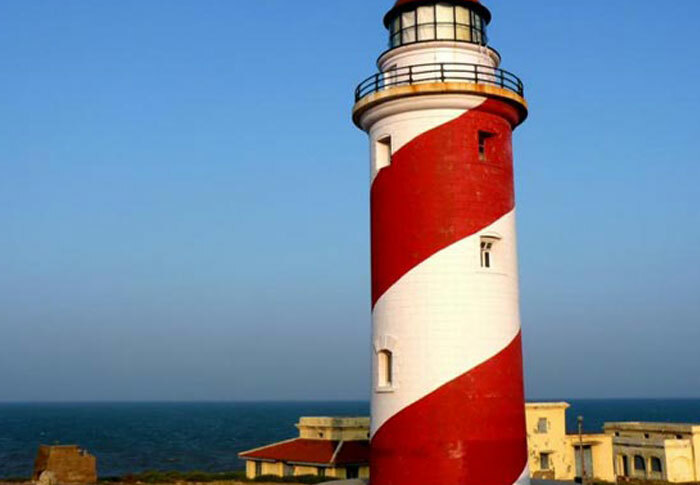 Light House Beach is one among the three spellbinding beaches found at Kovalam. It is only 8.5km away from Gods own country Ayurveda resorts. The most interesting fact about the beach is the lighthouse itself. The lighthouse at this beach is almost 30 m height and that is why the beach is recognised by the name " Lighthouse Beach". The lighthouse is located on a cape and from there you can see the poovar in one direction and the famous beemapally mosque on the other. You have to climb 142 steps to reach the light and observe the attractions. Lighthouse beach is an amazing blend of charm, allure and adventure. There are numerous water sports and activities availed here and you can also try swimming amidst the stunning white sands and pearl blue waters. You cam also enjoy other adventures like surfing, paragliding and parasailing also. Lighthouse beach is nothing more than a heaven for those who love beaches and want to spend as much as time amidst the coral heavens and people from all over the world visit this place every day to see this heaven. Since it is crowded , there are so many accomodation availiable in formof hotels and resorts near the light house beach for people who wish to stay near the beach. Gods own country resorts , one of the best resorts in kovalam provide best and affordable accomodation for people who wish to stay near the light house and the beach. They offers special accommodation rates also.